sonic x tails. you see this picture when you first come here. Wallpaper and background images in the Miles "Tails" Prower club tagged: tails. Awww! He is So Cute! OMG!!! 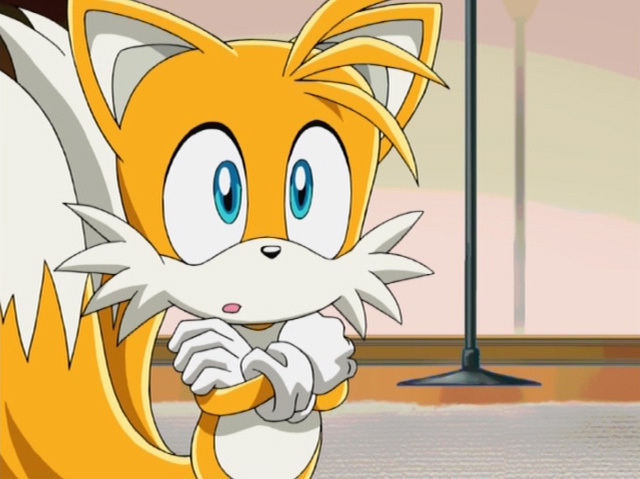 Tails is just this adorable thing you just want to hug forever!!! im 10 he's 10 and i love him. OMG!TAILS is,like,soooooooooooooooooo cute i wish i can just hug him.and kiss him soooooooooooooooooooo much.p.s TaiLsFox it's hearing this RIGHT.OR IS HE?! he sooo cute i could die! um.....WHY WOULD U! ?.And anyway Tails the fox is soooooooooooooooooo cute that u can put ur head under his soft,furry chest! Make x big or something, otherwise somebody perhaps gets it wrong... If u know what I mean. I want to hug and squeeze him to death!! SOOOOOOOOOOOOOOOOOOOOOOOOOOOOOOOOOOOOOOOOO­OOO­OOO­OOO­OOO­OOO­OOO­OOO­OOO­OOO­OOO­OOO­OOO­OOO­OOO­OOO­OOO­OOO­OOO­OOO­OOO­OOO­OOO­OOO­OOO­O CUTE! I WANT TO SQUEEZE HIM! What is he thinking about? Think about it, friends. HE IS LIKE SOOOOOOOOOOOOOOOOOOOOOOOOOOOOOOOOOOOOOOOO CUTE!!!!!!!!!! HES EVRY NICE WORD IN THE BOOK!!! I NEED TO HUG HIM SQUEEEEEEEEEEEEEEEEEEZE HIM AMD NEVER LET HIM GO!!!!!!!!!!!!!!!!!!!!!!!!!!!!!! I am not a girl or a homo but tails is soooo cute if he was real I would asks him to make a cloning machine and clone himself so I could take his clone and just hug and squeeze him. Who's he staring at? That's the picture I would think of when he met Amber for the first time! (Amber Julia Prower is someone I made up. )Mirror Images! I heart u Tails! He is so freaking CUTE! I so wish he were real! I just want to squeeze him! Tails looks very cute there!!! NE "IM HIS LOVER CREAM U ALL KNOW COSMO DIED I LOVE HIM HE LOVES ME LAY ONE FINGUR ON HIM YOU WILL HAVE A DEATH SO DEADLY!!!!!!!!!!!!!!!!!!!!!!!!!!!!!!!!!!!!­!!!­!!!­!!!­!!!­!!!­!!!­!!!­!!!­!!!­!!!­!!!­!!!­!!!­!!!­!!!­!!!­!!!­!!!­!!!­!!!­!!!­!!!­!!!­!!!­!!!­!!!­!!!­!!!­!!!­!!!­!!!­!!!­!!!­!!!­!!!­!!!­!!!­!!!­!!!­!!!­!!!­!!!­!!!­!!!­!!!­!!!­!!!­!!!­!!!­!!!­!!!­!!!­!!!­!!!­!!!­!!!­!!!­!!!­!!!­!!!­!!!­!!!­!!!­!!!­!!!­!!!­!!!­!!!­!!!­!!!­!!!­!!!­!!!­!!!­!!!­!!!­!!!­!!!­!!!­!!!­!!!­!!!­!!!­!!!­!!!­!!!­!!!­!!!­!!!­!!!­!!!­!!!­!!!­!!!­!!!­!!!­!!!­!!!­!!!­!!!­!!!­!!!­!!!­!! IF U DO ILL MAKE U TO NOODLES!!! AND LET ANIMALS EAT U!